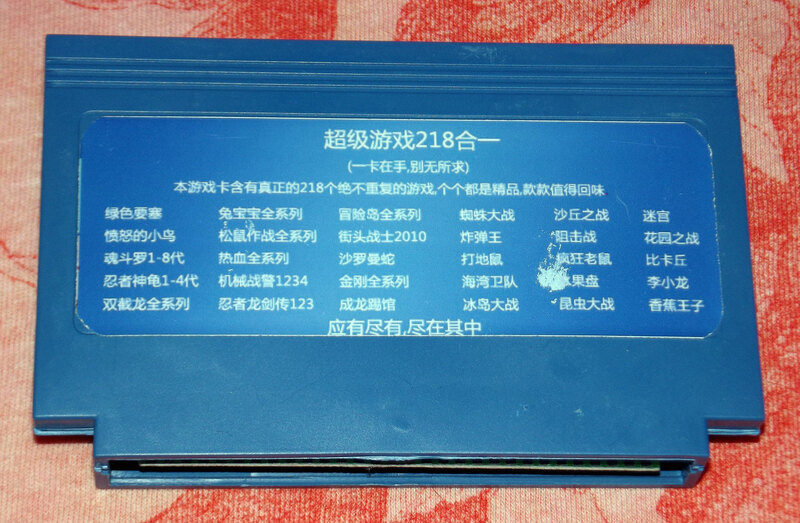 The menu credits "深圳市仁顺科技", Shenzhen Renshun Technology - a different company doing very similar things under a very similar brand. Presumably either they're connected somehow or one ripped off the other. 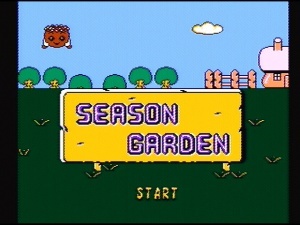 Season Garden is mostly your typical whack-a-mole game, Nice Code have certainly covered this territory before, but (as the name possibly implies) the seasons change and there are some cute touches like how the dude in the top left changes along with them. 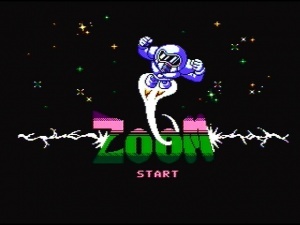 Zoom is basically a fly-upwards-avoid-the-obstacles type of deal which later received a graphical overhaul and an extra "ing" in this VT03 version. "Pika Chu" is the Pokemon-themed Tetris game by Nice Code, also known as "Poke Tetris"
All in all, it's a pretty great compilation, really. Almost every Kunio game! Recca! 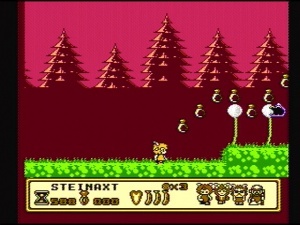 Banana Prince (the German version, no less)! 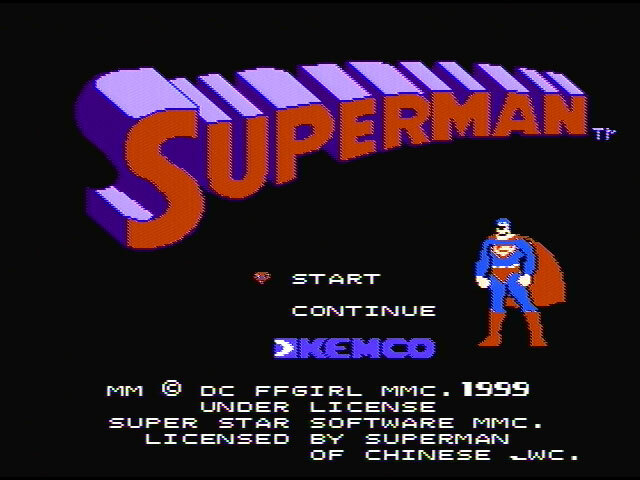 A nice combination of popular games and obscure stuff, plus a selection of Chinese originals (which, okay, is probably of more interest to me than most people). 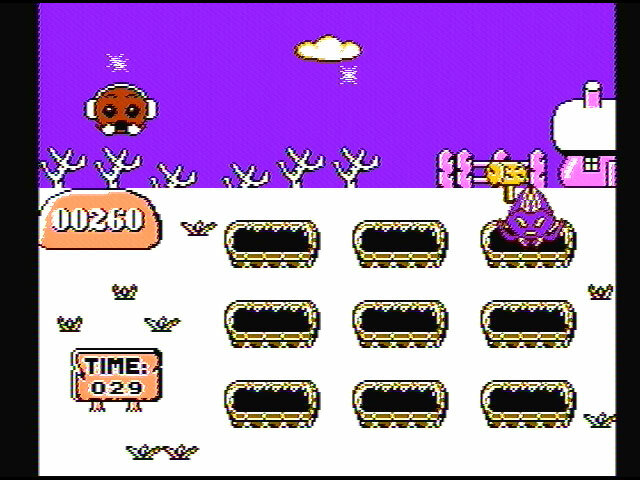 One thing I could fault it on is that they saw fit to include a bunch of Mario hacks but not Super Mario Bros 2 (either version) or 3, but still. It's a good cart! The JF2181 218 in 1 Super Game! 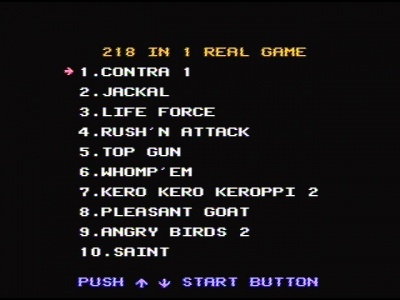 Basically the same cart again, but with twenty more games added to it. 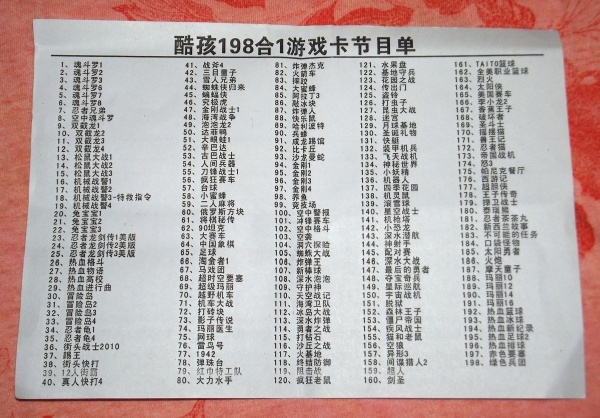 The manufacturers in this case are unknown - there's a big space where Renshun Technology's name used to be in the menu, so presumably it wasn't them, but other than that it's mysterious. And blue. And made of cheaper plastic. The new games here are all pretty interesting: we have Kero Kero Keroppi 2, actually the English fan translation (version 0.9, no less) of that game, "Angry Birds 2", an Angry Birds-themed hack of New Zealand Story, and... Pleasant Goat! 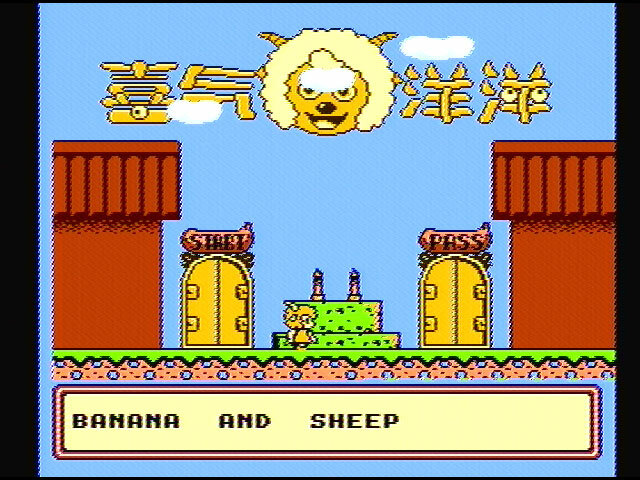 Yep, it's a hack of the German version of Banana Prince featuring the popular Chinese cartoon character. Of course it is. The new sprites are actually pretty cute; unfortunately they have slightly ruined the game by attempting to pull the standard hacker tactic of making it start on level 2-1 (to make it look less obviously like the original game), because it actually sends you back to level 2-1 every time you die, meaning you effectively have to complete the whole game in one life or reset and go back to the password screen each time. Which is a shame :( If it's ever dumped I'd quite like to hack the hack and try to fix it. Still, at least the original Banana Prince is on here too. 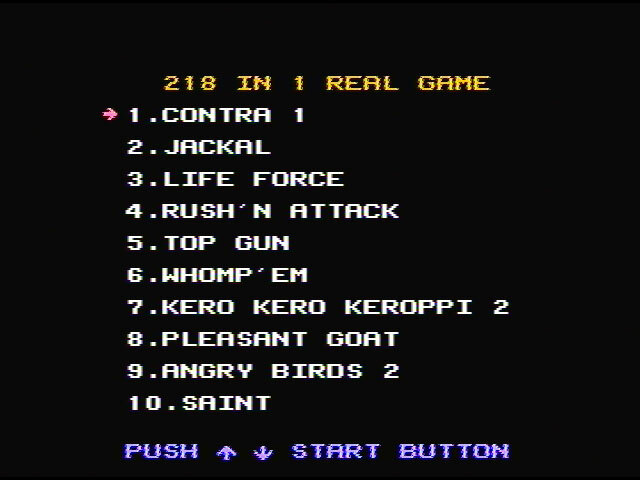 "Silk Worm" here is actually the untitled 2003 Iraq War-themed hack of that game (featuring George W. Bush, naturally); SD Fighter is just Mighty Final Fight again, Mickey Mouse 5 is Mickey's Adventures in Numberland, Disney 2 is Doki Doki Yuuenchi and everything else is what it says it is. Where can i download those games ( rom ) ? They aren't dumped, sorry. 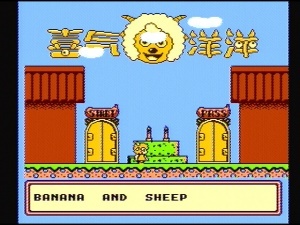 You can download most of the games individually (except for Pleasant Goat & a couple of the Nice Code ones) though. Great work. But I have so many questions! 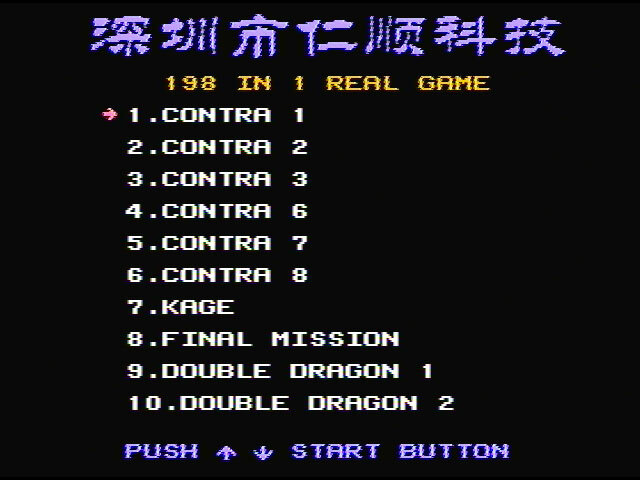 Most important first: What's Contra 2-8? 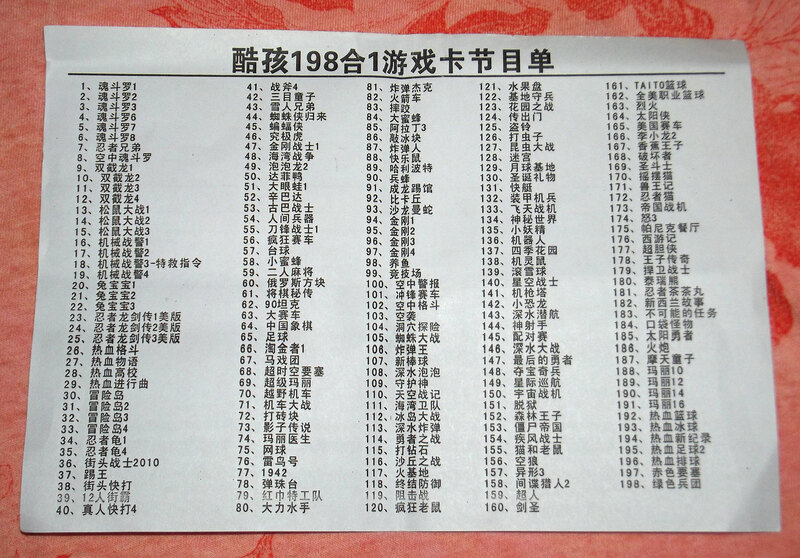 ah the wonders of weird pirate numbering conventions. Aliexpress is probably a good bet, or Taobao if you don't mind using an agent. oh if anyone's interested, I opened the 218 in 1 and it has "仁顺科技" (Renshun Technology) on the PCB, so I guess they were behind it after all... either they made it as an OEM deal for someone else or they were just getting wary about crediting themselves so openly on these things. I'm not selling them, but on Aliexpress (if you search for "FC 218 in 1" or something like that) a few sellers have the 218 in 1 for $16.80. It would be possible to manufacture a cartridge with games I want? If yes revenderei in Brazil. 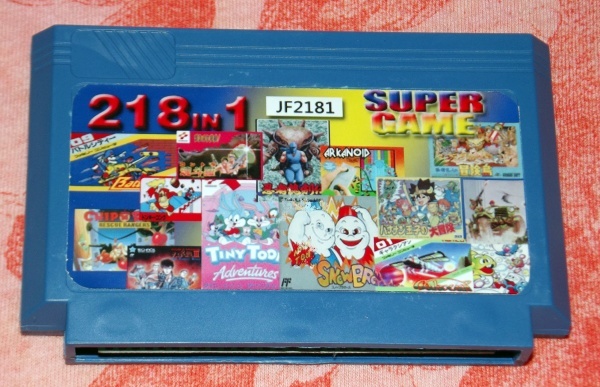 ALL IN ONE CARTRIDGE, CAN YOU DO IT? no, sorry! I'm not a cartridge manufacturer, I just blog about them sometimes. 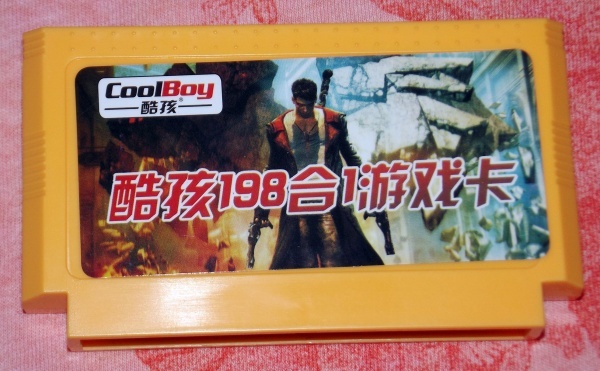 You could try contacting some companies in China, but they'll probably require a high minimum order quantity for a custom cartridge like that. 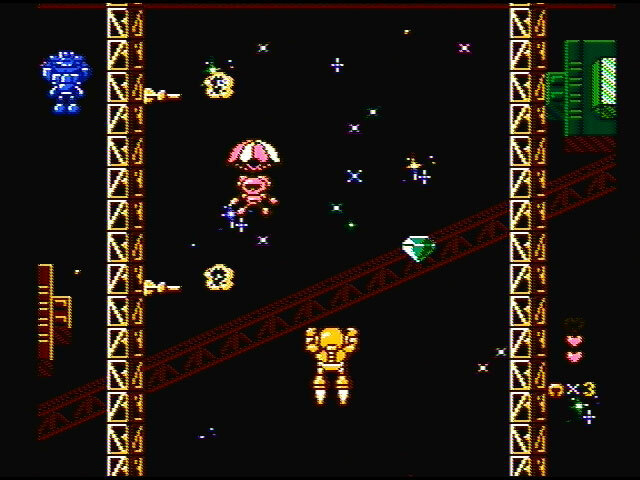 Probably your best bet if you want a specific set of games is to just buy something like an Everdrive N8 and load them onto an SD card. 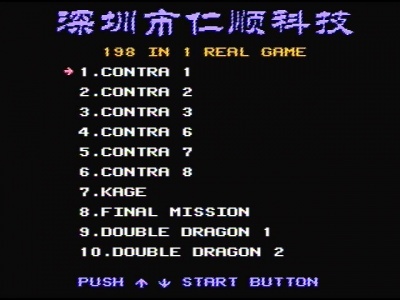 Where can i download those games (Famicom 198 in 1 & 218 in 1 multicarts nes rom download plzz) ? These aren't currently dumped, sorry. 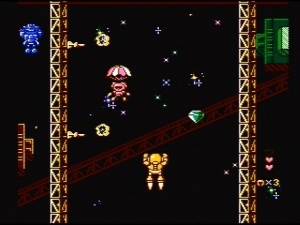 There are similar multicart ROMs at http://cah4e3.shedevr.org.ru though.